Rolando Dy announced his retirement on October 26th but now coming back for a one last chance fight. This would be the fight that maybe a do or die for his career. Dy was known as a son of the Former boxing world champion Rolando Navarette and now Rolando Dy is trying to make a name for himself in the biggest MMA Promotion in the world but unfortunately lost his 2 fights in the organization. 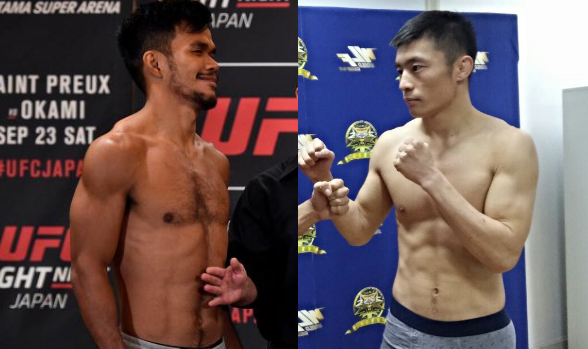 But on November 25th, Rolando Dy will comeback in the Octagon to face Lijiburen Wu of China at the UFC Fight Night 122, that will be held in his foe hometown Mercedez-Benz Arena in Shanghai. Lijiburen Wu has a record of 8 wins (3 by submissions, 1 by KO and 4 by decisions). The Chinese guy will fight in the UFC for the first time. Dy vs Wu is included on the undercard of Bisping vs Gastelum 3 round middleweight fight.